Quietly and silently… like a ninja! Serizawa burns down a shop that’s been trading with foreigners, is suspected to be lending money to rogue samurai and won’t lend Roshigumi money. 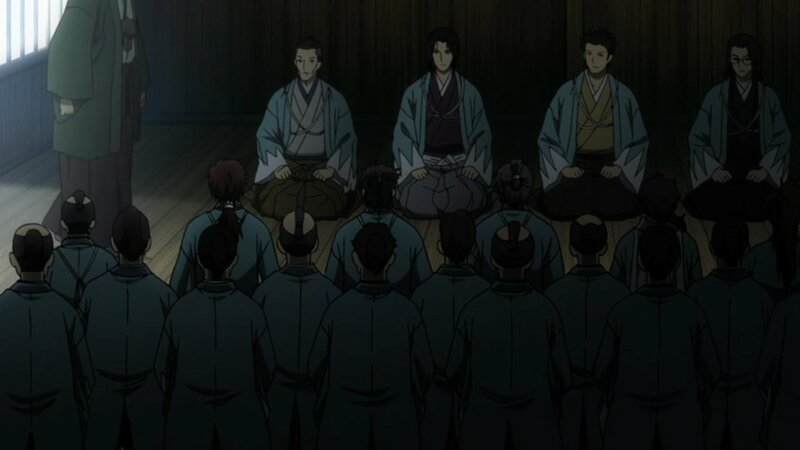 Hijikata is annoyed, but attempt to find evidence. They find out that what Serizawa said was true. 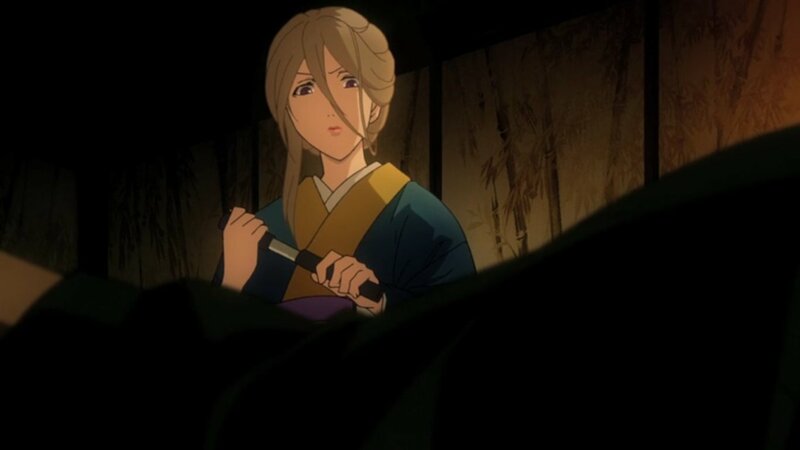 The girl who came to get money from the tailor tries and fails to kill Serizawa when he’s sleeping. But Serizawa lets her stay knowing she has nowhere to go. Serizawa drinks a lot at a geisha house and suddenly loses his memory. But he returns to normal a few seconds later. Someone else in the geisha houses passes by and knows of his illness and tells him that he will die suffering. Yukimura makes a medicine that suppresses a rasetsu’s bloodlust. 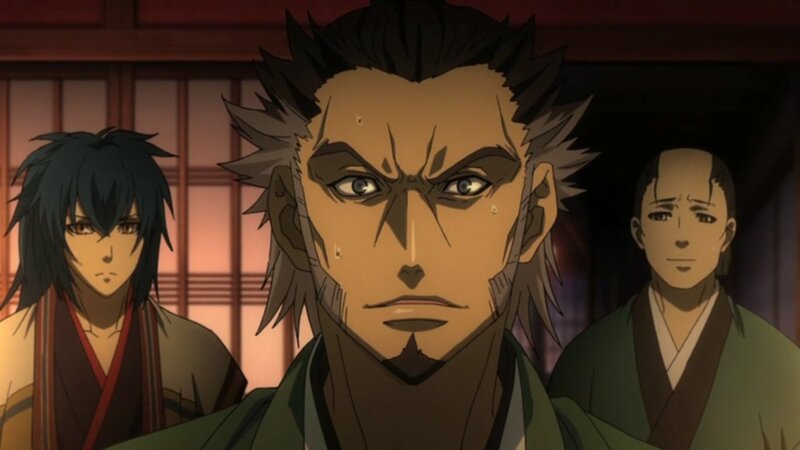 Aizu is unhappy with Serizawa and wants Hijikata and Kondou to deal with him. 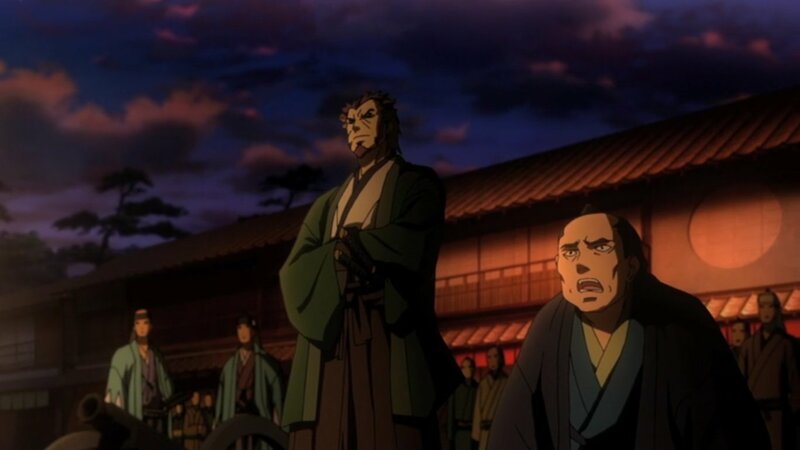 A standoff battle breaks out and the Roshigumi are to guard the gates and protect the Aizu. 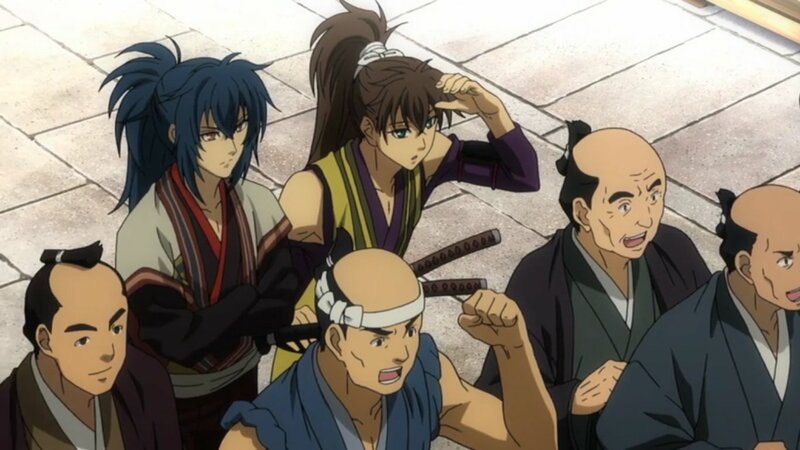 After their success they are bestowed the name, Shinsengumi. Niimi tests out Yukimura’s new medicine. Elsewhere in the city, another house is set on fire. I was just thinking that girl serving Serizawa could be the one to kill him. Tried and failed unfortunately, but from that we did see another side to him. He seems like he’s got some caring parts, so is all this ‘evilness’ for the sole purpose of himself shouldering the burden to get things done to lead the Roshigumi into success? But some of the things he does are unnecessary like causing trouble at Geisha houses and killing those sumos. But perhaps that’s all part of the act? I’ve said before, being feared by the people when you’re the ‘police’ isn’t a bad thing. I dunno, seems like he’s more difficult to understand than we thought. Roshigumi making good progress with Aizu, name’s changed so we’ve almost caught up to the original series. Two episodes left I believe and need to get rid of Serizawa and Ibuki. There’s still a chance that Ibuki will kill Serizawa, I haven’t completely given up on that idea yet. However my new prediction is that Serizawa on his deathbed will try an improved Ochimizu to prolong his life, but then go on a rampage and kill Ibuki then get killed by Hijikata. And then maybe some ‘heroic’ final words.